High season is over in the Costa del Sol, which is also immediately noticed by a pronounced drop in prices in all areas related to tourism. Luxury models are more accessible after prices drop. Similarly, at Malagacar.com in September you can get your car hire Malaga airport services about 20% cheaper than in August. And as fall is advancing, the price drop turns very interesting; especially considering that here we are in the south of Spain while the rest of Europe is now gray, cold and rainy, here we can enjoy long sunny days until December which invite to excursions in the surroundings of the Costa del Sol and the province of Malaga. 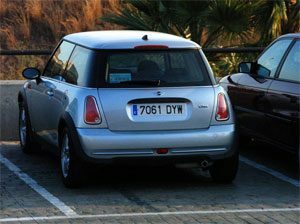 Let’s look a little bit more at the prices: The cheapest car hire Malaga categories belong to group A and B, (Fiat Panda, Fiat 500, Toyota Aygo) whose price is in September at 92 € for one week rental. Since November when the low season begins, the price drops to € 75 /week, in other words, more than 60% cheaper than high season. It is literally impossible to move during the holidays more cheaply, with maximum freedom of movement! Summer has gone to past, but sunny days will remain all the year. How are prices for a little more spacious car for people who travel with family for example? The Renault Kangoo and Fiat Doblo in Group EA have also an excellent price. Now in September a car of this group costs € 136 /week and in November it goes down to 92 € / week. Moreover, if for some reason there are no cars within the same group, you get an upgrade within the same group (Estate). Prices of people carriers for a larger group (eg. an Opel Zafira with 7 seats), is available now for € 279 per week and from November onwards for 199 €. The most exclusive class of Prestige vehicles which in summer are priced fairly high also becomes much more accessible. Now you can rent an Audi A4, a Mercedes C Class or a BMW 3 for 368 € / week and from November for only 205 € /week! Malagacar.com is committed to excellent customer service which is also reflected in a continual renewal of its fleet, so that no rental car is older than three years. 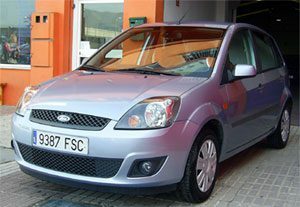 Malagacar.com therefore also offers used cars for sale in Malaga, where you can find some genuine bargain. Since no middlemen or establishments are involved in vehicle purchases, we can offer the best market prices for second hand cars. All cars available for sale have less than 75,000 km and the dialy maintenance of them is exhaustive, so our cars are delivered in perfect condition. Prices range from 5,600 to 22,700 euros. Do you have any deals coming up, when are you selling off your ex rental cars?